COLUMBIA, SC (courtesy thestate.com) — Allen University, Benedict College, and Claflin University are featured in the newly-released Green Book of South Carolina mobile guide, which guides tourists of all races and cultures to more than 300 historically significant African-American sites in the Palmetto state. In 1936, the original Green Book guided African-American travelers to safe harbors and welcoming establishments across the United States. The new Green Book of South Carolina mobile guide debuted April 30, 2017. “Our guide acknowledges the early experience for African-American travelers, but also shares the promise of what African-Americans can find in South Carolina today,” said Dawn Dawson-House, director of corporate communications at the S.C. Department of Parks, Recreation and Tourism and a key adviser to the Green Book of South Carolina project. 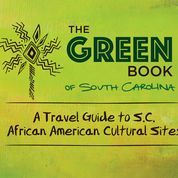 The Green Book of South Carolina is the first mobile web travel guide to African-American cultural sites across the state, created by the S.C. African-American Heritage Commission. The purpose is to increase awareness of the state’s African-American tourism destinations and encourage travelers to become immersed in compelling stories of African-Americans in South Carolina. “We want travelers to discover the under-told and hidden gem-type stories,” Dawson-House said. The free mobile travel guide includes hundreds of listings, sites on the National Register or designated with a state historic marker. It covers every county in South Carolina and includes churches (including brush arbors and praise houses), schools, cemeteries, homes and more. Each entry includes a narrative defining the historic significance of the site, images and directions on how to reach it. Members of the S.C. African-American Heritage Commission have volunteered hundreds of pro bono hours on the Green Book of South Carolina project. It has generated excitement within the commission as well as in the public. “It resonates with people,” said Louis Venters, an associate professor of history at Francis Marion University and a member of the commission. No matter where travelers are in South Carolina, the mobile guide can direct them to an historic African-American site. The South Carolina African-American Heritage Commission, founded as a council in 1993 as an affiliate of the S.C. Department of Archives and History, is tasked with identifying and promoting the preservation of historic sites, structures, buildings, and culture of the African-American experience in South Carolina. The commission is made up of about 30 volunteer professionals from the fields of historic preservation and interpretation, education, tourism marketing, business development and the arts. Commission members spent many hours making sure the information in the mobile guide is complete and accurate. “We want to make sure we send people to the right sites and that the stories we tell are are completely accurate and as compelling as they can be,” Venters said. Some sites are simply markers, and visitors need to use their imagination to envision the history. While it’s an invaluable guide for today’s travelers, it’s also preserving history for future tourists. “The appeal is not just to the generation before us, but for generations after us, to understand the full story of South Carolina,” Dawson-House said.